E-commerce is a challenging model as these days, it’s unbelievably accessible, which is a great thing for entrepreneurship but not so great for your bank balance. It seems like every week, another 10 rival companies appear from nowhere to steal your customers. Year on year this results in further saturated markets, where lowest price is often the only leverage available. So how can you get around that? How can you implement e-commerce growth strategies to turn this situation into one that benefits you? The trick to e-commerce growth hacking is to be there first, capture the customer from day one and cement your position as the leading company in your niche – smothering the market. By the end of this article, you’ll understand how to take the market by the horns and use your resources to leverage against your competition. How to get more Sales Online? That’s a question and a half, one that enters our heads every day; how do we actually do it? The horrible truth is that there is no simple answer, it’s a lot of hard work but the best starting point is your customer and you’ll work the rest out from there. Why would they want to buy your product? If you can’t answer that immediately, then you’re going to need a pen and a pad to work it out. If you’re selling craft whiskey, why would they buy from you? Are your spirits hard to find, limited stock or bespoke gifts? Are they at a better price than anywhere else, do you offer the fastest delivery, custom gift boxes or the best customer service on planet earth? In the world of B2C online business, you’ll need key factors to differentiate yourself from your competitors, if you ever want to achieve significant e-commerce growth. From that point, the rest should fall into place within the next sections. Traffic is a crucial factor for any online shop. Without website visitors, you won’t sell your products on line. So the first challenge is to get visitors then we can look at how to increase traffic to your e-commerce site and convert more visitors to paying customers. E-commerce search engine optimization is a longer term strategy but it’s also cost effective and, assuming it’s correctly implemented, the results are consistent with a very positive return on investment. In this section, we won’t be covering Local SEO or Technical SEO, we’ll assume that your website is already in a good position to start ranking in search engines. So each of these pages will now get it’s own sets of keywords and search terms. In order to correctly define suitable keywords for each of these pages, we need to do some keyword research. These keywords are long-tail keywords. 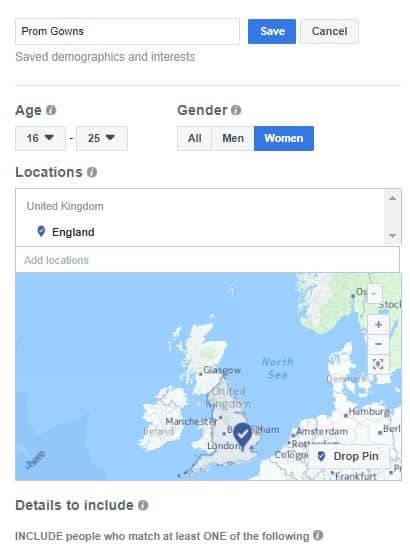 This means that they are a lot more specific than search terms like ‘shoes’ or ‘men’s shoes’ so indicate that the person knows what they are looking for. They may be ready to buy, which is awesome but the downside is that there are less searches per month. You can take it a step further and search for potential search terms that use ‘qualifiers’ such as ‘buy’ in them, though you may find it gets a little more competitive there. You could look at synonyms too but make sure they’re relevant to your audience, if you’re selling boots to builders calling them ‘daisy roots’ might not make a lot of sense. This is the result of searching google for ‘derby shoes in canvas.‘ On first glance it doesn’t look as if any of these websites are directly optimised for that search term and therefore could be an opportunity, it’s also worth noting that although the results aren’t optimised, they are very relevant to the search term. It’s best we don’t completely cover relevance in this post as it may complicate matters, just think of it like this: if you are searching for eco-friendly shampoo and you arrive at a page that spends 600 words rambling about pasta shapes but has ‘eco-friendly shampoo’ in amongst the copy, you’ve definitely not found what you’re looking for. Google and other search engines see pages in a similar way, if they aren’t actually about that subject, it won’t rank the page(also worth noting that we don’t speak for google.) So that’s e-commerce search engine optimization in a simple and generalised format, what about ads? If you’re looking at a low cost way to drive traffic to your website, we’d probably not recommend Google Adwords/Bing Ads. With the exception of high margin products and services, it would be a better tactic to drive traffic from the ads straight to specially constructed and optimised e-commerce landing pages. So if you’re having a large scale seasonal sale, consisting of discounted confectionery then a landing page, built around the sale would be the best bet for your e-commerce Adwords strategy. This page can then link to different product lines that are in the sale, recommend alternatives or matching products and should prove to be particularly lucrative. A strong social media e-commerce strategy is perfect for a B2C online business, which we’d assume you own, given that you’ve made it to this point in the article. As a general rule, it’s a good idea to pick 2 or 3 forms of social media to focus on and whatever you do, don’t obsess to much over them – they’re a small part of a bigger strategy, restrict them to the time they deserve – don’t become the guy that posts every day or even 20 times a day, for nothing but the sake of it. As you’re looking at social media marketing for e-commerce purposes, we’d recommend focusing on Facebook, Instagram and either Twitter or Pinterest. At Sweet Leads, we use a tool called Buffer to manage social media from one place, it comes with a photo editor called ‘Pablo’ and a mobile app too. There are many alternative solutions, it’s just the one we’ve gotten to know over the past year and so it works well for us. Though we’ve never used it, Social Bee is another that’s come highly recommended. Social media and e-commerce go hand in hand, it gives you immediate access to customers that you’d never have come across 20 years ago, so the opportunity is huge. Here’s what we’d recommend you do to take control of each platform. A great feature in Facebook is the e-commerce tracking available when you use the Facebook pixel. It allows you to analyse clicks, conversions and learn how to optimise the adverts from there. There are tools available to help make better sense of it and one we’d recommend is Adespresso. Facebook ads can appear in messenger(which we think is really creepy), on the right hand side of the feed and as part of it amongst your friend’s posts about bacon sandwiches. If you’re wondering what to post on Facebook, take a look at your competitors and what their customers are engaging with. Create a spreadsheet of all of the most effective posts and work out a way to add your brand personality to it and build some RSS feeds to get the latest ones sent straight to you. If your focus is on vegan supplements, think about all the vegan related news they’d love to see on your feed – this way you become far more than a brand selling stuff, you become an adviser, a teacher and a fellow. 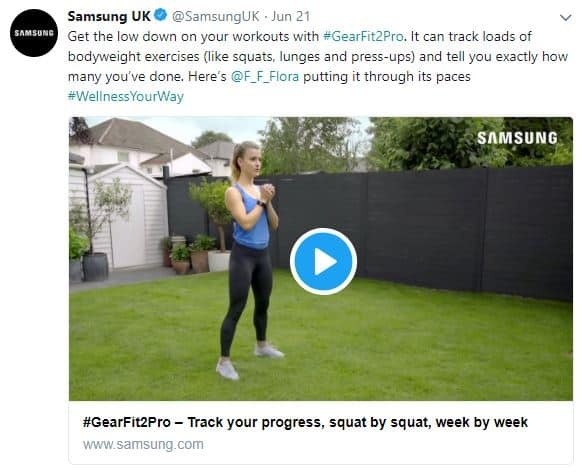 In the day to day of running twitter as an e-commerce business, it’s best to keep it topical and relevant to your target audience, much the same as with Facebook but unfortunately, you’re restricted to 280 characters. Join in with trends like TV shows or the World Cup and feel free to get opinionated on it, so long as you’re not a massive racist or look like you’re trying too hard, you should do well over time. We love using Instagram for e-commerce, it’s our favourite platform for the job. It allows you to show your products off in all their glory, comes complete with image filters and makes a really simple job of presenting even half decent products, nicely. For this reason, providing that your products are high quality, Instagram and e-commerce are a match made in marketing heaven. The ads are easy to use and work in a similar way to Facebook and Twitter, in regard to targeting but placement comes with a few different options, including the ‘Stories’ banner at the top of the feed page. Until recently, there hasn’t been an effective social media manager for Instagram but a recent update to Buffer allows you to automate the posts. This means that you can manage social media from one place, and create a schedule of 100s of posts across all platforms. We tend to set aside a couple of hours a week to schedule posts for our customers, so they appear a couple of times per day to drive regular additional traffic to their websites. Using Pinterest for e-commerce sites is very much target dependant. The most popular examples are weddings, events and gifts as Pinterest has a larger proportion of women using it than men and that’s often what they use it for. A client of ours used Pinterest for e-commerce purposes and found an 85% chance of a ‘re-pinned’ post being purchased in the next year. As conversion rates go, we’d say that’s exceptional. It’s a great way to kick start the ‘re-pinning’ process, is fairly cost effective and can lead to a nice chunk of website traffic. You’ll need a business account and a budget to do this but provided that your products are a good fit for the audience, it should go really well. The best idea is to use it specifically for sets of products and use long images, they have a much better re-pin rate. 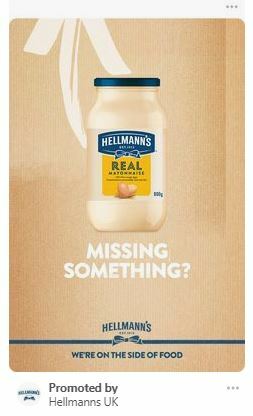 Our client uses it exclusively for their wedding range but as you’ll see below, Hellman’s use it for their mayo too. And so we arrive at a big one that ties it all together and allows you to take direct control of your targeting; email for e-commerce. Before direct marketing died on May 25th 2018, email was completely abused along with customer data, which is what lead to the change in the law. 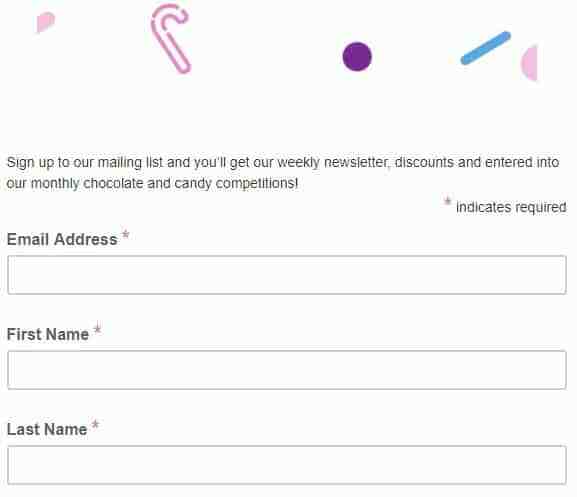 Since then, marketers have had to adapt to a new approach to building their e-commerce email list – they now need your permission, which we think is silly because from our perspective, it goes without saying. What did they hope to achieve by spamming you? Building an e-commerce email list is so important we can’t stress it enough. We can’t advise you on GDPR other than recommending you use an email provider like Mailchimp, with built in GDPR features including a double opt-in to confirm consent. Once you have that in place this one strategy could help you grow your email list 500%. Create a landing page for your e-commerce website, and make sure it only requires a maximum of ‘First Name,’ ‘Last Name’ and ‘Email Address’ fields. Put together a competition, it has to be one of your products, unless you’re Apple or develop iOS apps, don’t offer an iPad. If you sell sweets, make the prize a giant tub of your finest sweets. If you sell clothes, make the prize your most recent and most impressive clothing lines – it’s that simple. 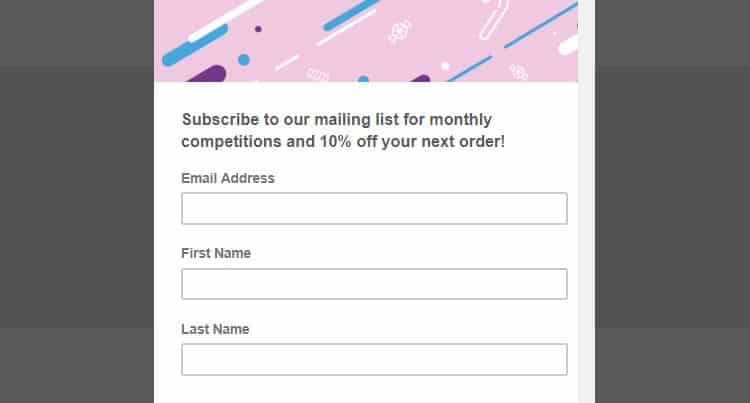 Make sure the value of the product is £100 or more as that should get a you a bit more attention and mention that you’re running competitions each month, exclusively for your email subscribers. Now create a Facebook ad(or whichever social media platform you’d prefer), targeting your potential customers and leading to your mailing list landing page. Set the ad to display on Sundays with a budget of £10-20 as this was the sweet spot, roughly 100 more signed up on Sundays than any other day of the week. Set your ad to run and it should grow as time goes on. If your product isn’t exclusively B2C then you might want to select a different time for your ad to show. Email automation is a game changer. From sequences and drips to abandoned cart recovery emails – it’s the dream for B2C online business. Our two favourite solutions for email automation are Hubspot and Mailchimp, both of which plug directly into your website and give you a range of analytics and useful features. The idea of e-commerce email automation is to automatically respond to customer behaviours. 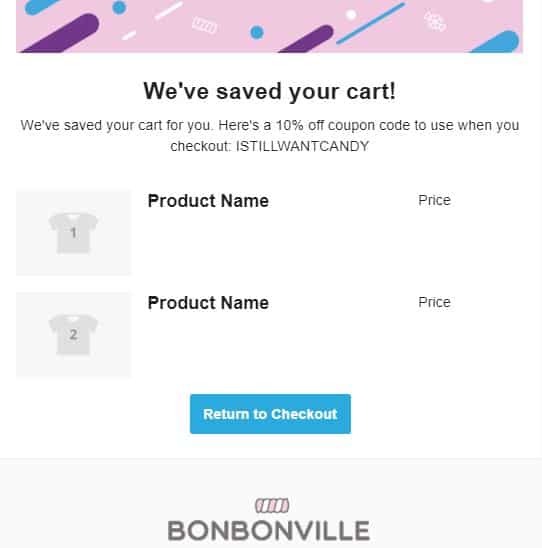 So if a customer logs into your website, adds 20 of your products to their basket, gets distracted and closes their laptop, it will send an email to them offering a discount on those products – usually an abandoned cart discount of 10-15%, this is called ‘abandoned cart recovery‘. You can also base it off of events, purchase history and items they’d looked at in the past. The best e-commerce email templates have a little personality but aren’t too heavy on the HTML front and branding is best kept minimal. There is one other awesome essential automation we’d want you to put on your website, it appears when customers try to leave. The best exit intent popups cut straight to the chase with an offer in exchange for signing up to a mailing list. We mostly use the MailChimp exit popup but there are 100’s available, if you’re on WordPress, just search for an exit intent popup WordPress plugin and you’ll have a few to choose from though, whether or not they integrate with your mailing list, is a different matter. If you’re looking to add a page exit popup to your website, just make sure it’s as simple as possible, avoid anything creepy like ‘Don’t leave yet! You’ll miss out on….’ Something similar to below would work perfectly. It will help you build your e-commerce mailing list and when you send marketing emails it will boost your returning traffic too. So why do you need analytics? People are buying already, the shop seems to be working well and cash is coming in as profit. What if we told you that a company we now work with was in a similar situation and didn’t pay it a lot of attention either? We had a look at their e-commerce tracking analytics and it turned out that although they were making money and turning a profit, they were only actually converting 0.2% of website visitors. After closer investigation, we’d found that there were a lot of orders that were supposed to come in, the customer arrived at the checkout stage but something was going wrong – it turned out a plug-in was freezing the checkout, not allowing them to make any progress and make the purchase and for those that didn’t encounter this error, it was likely the postage charges put them off proceeding. Once we’d sorted that out, they realise that kind of insight was simply the tip of the iceberg of reasons why Google Analytics and e-commerce go hand in hand. From that point on we started to optimise their website for conversions, working on ways to increase traffic, improve the user experience and develop an e-commerce search engine optimization strategy, to make sure each page was an answer to the question they were originally searching for. We recommend that before you get too busy, take a look at the Google e-commerce analytics course, it’s free and directly with Google here. Now you’re at the end of the article you should have a good idea how to increase sales on your online store, drive more traffic and increase conversions. There are endless ways to increase sales online but these should keep you busy and help you grow your business. If you’re looking at taking your business to the next level, take a look at our guide to marketing for business growth and if you need some help, fill out the contact form below or call the ‘on call’ mobile on 07872378247.